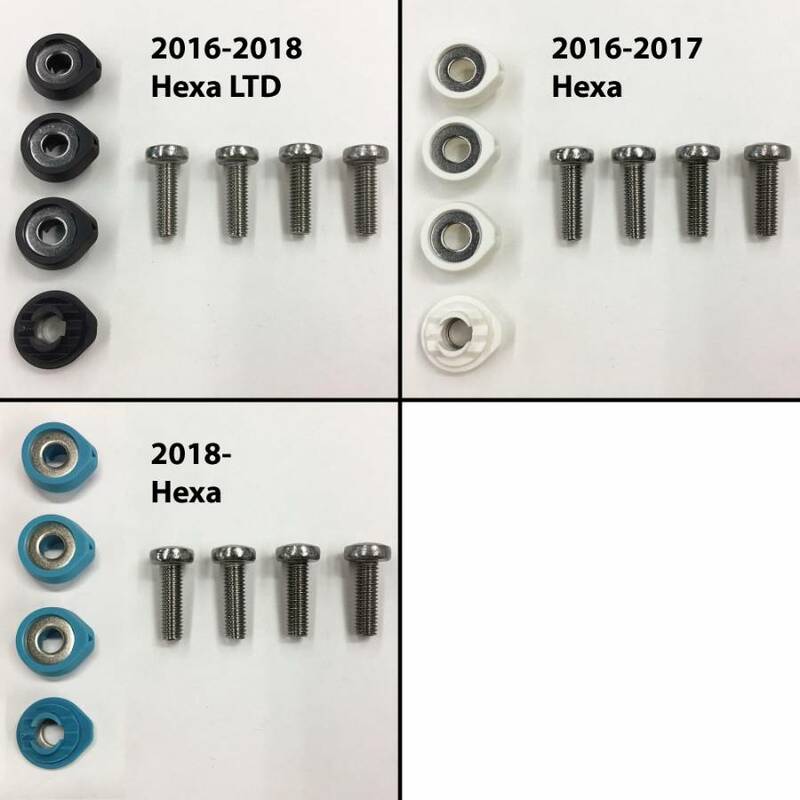 Complete set of Stainless Steel Screws for 2007-2018 Crazyfly twintip kiteboards: Select the set that matches your year of Crazyfly board and fin type. 2007-2010 4 of M6x18mm pan head screws for pads/straps. 2 of M6x10mm pan head screws for handle. 8 of M5x20mm countersunk screws for fins. 2011 4 of M6x12mm pan head screws for pads/straps. 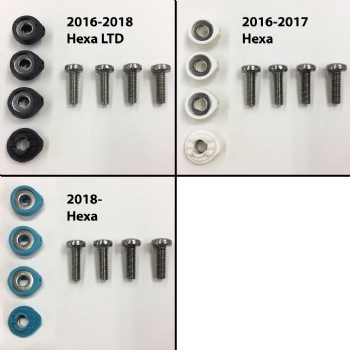 2012-2015 4 of M6x12mm pan head screws for pads/straps. 8 of S4x15 screws for RAZOR fins. 4 of 6x12mm pan head screws for pads/straps. 2 of 6x10mm pan head screws for handle. 8 of 5x20mm flat pan-head screws for G-10 fiberglass fins. 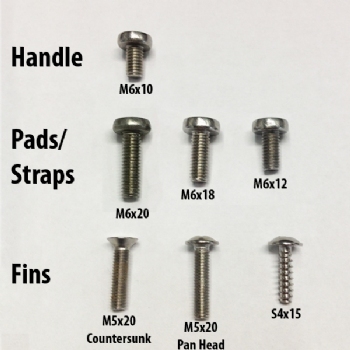 2016-2018 4 of M6x20mm pan head screws and washers for pads/straps. 8 of S4x15 screws for RAZOR fins. 4 of M6x20mm pan head screws and and washers for pads/straps. 8 of M5x20mm flat pan-head screws for G-10 fiberglass fins.